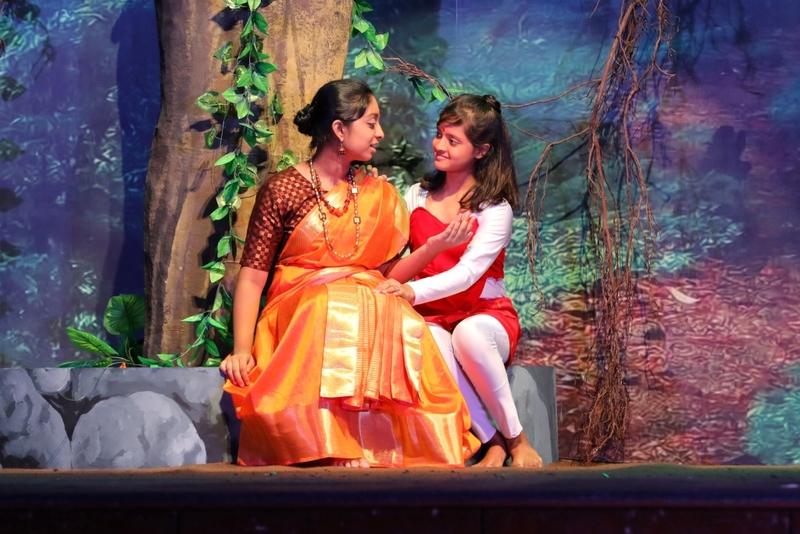 The brain child of the principal Mrs.Amudhalakshmi. 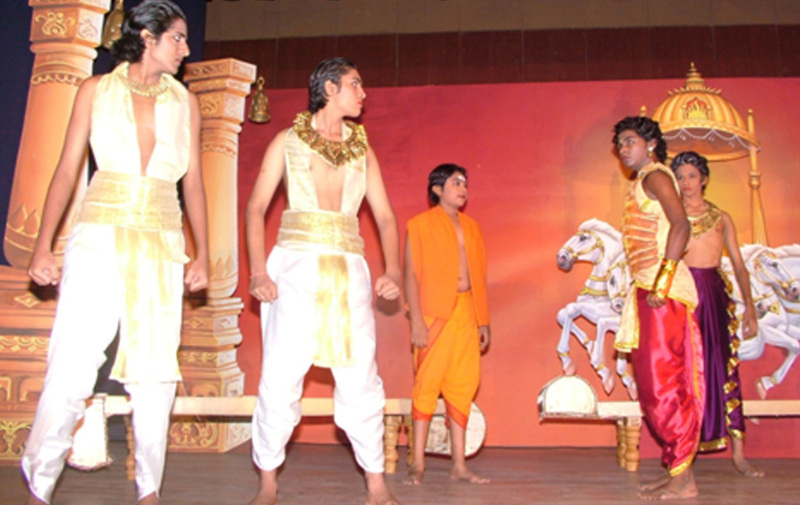 The aim of this theatre group is to hone the theatrical skills of the students. 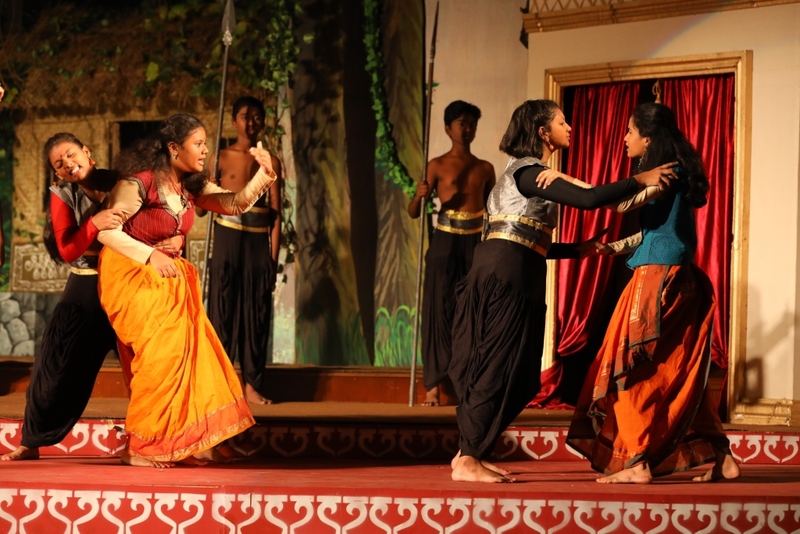 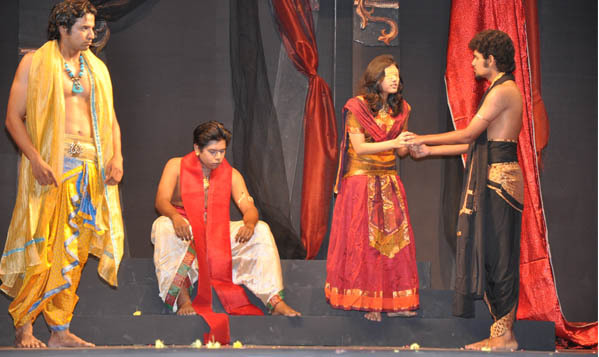 From the very first year, the plays enacted by the Chettinad Players have had rave reviews. 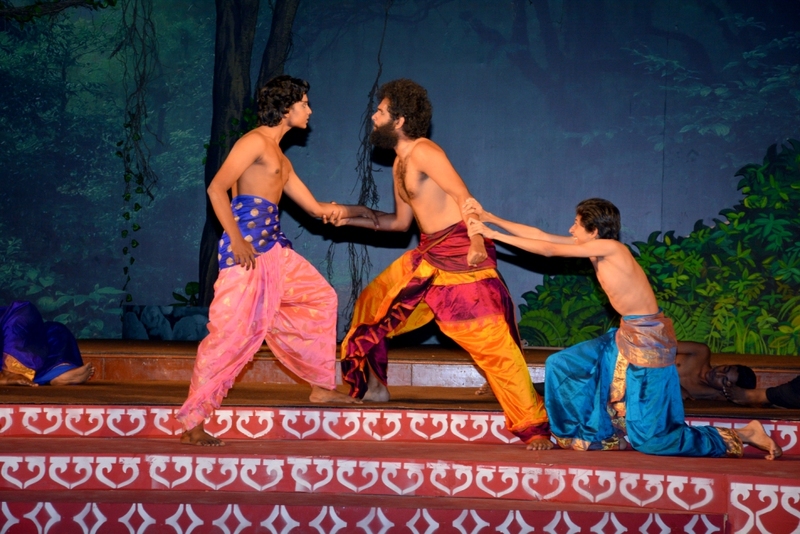 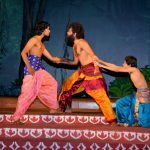 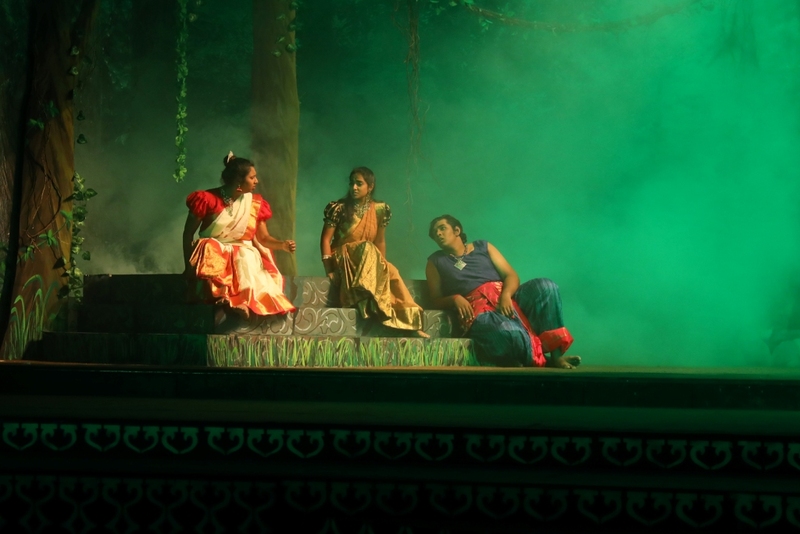 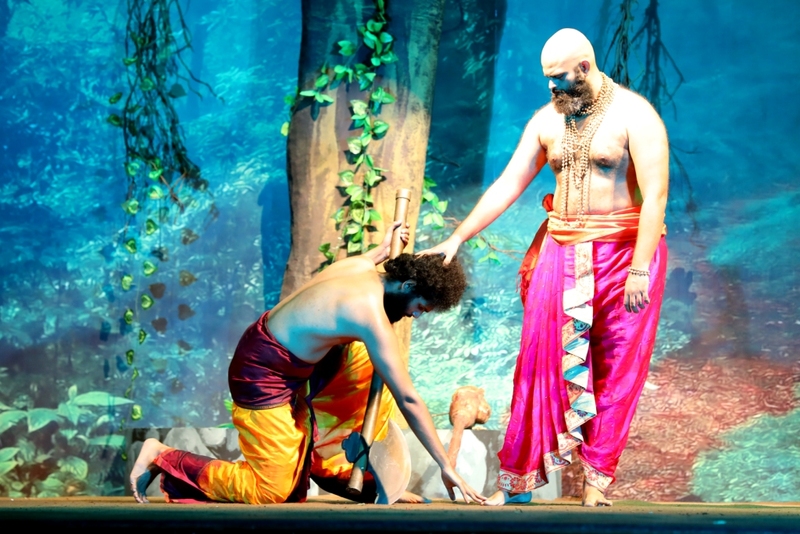 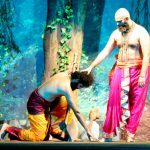 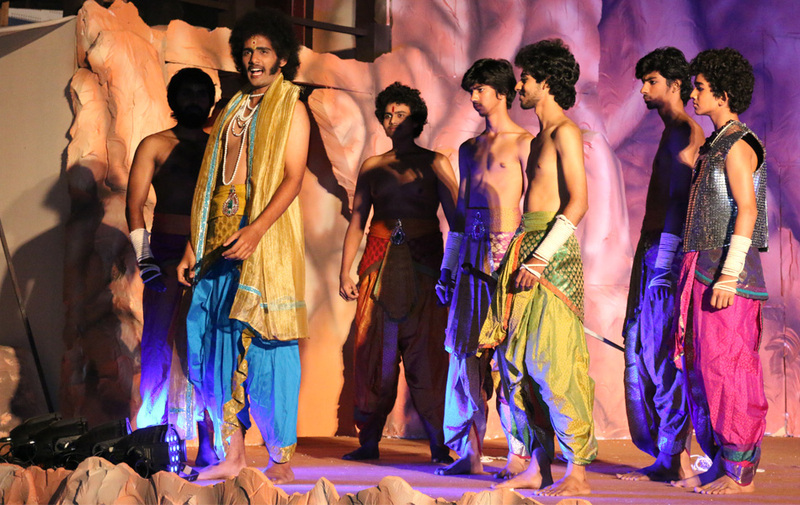 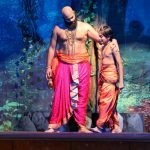 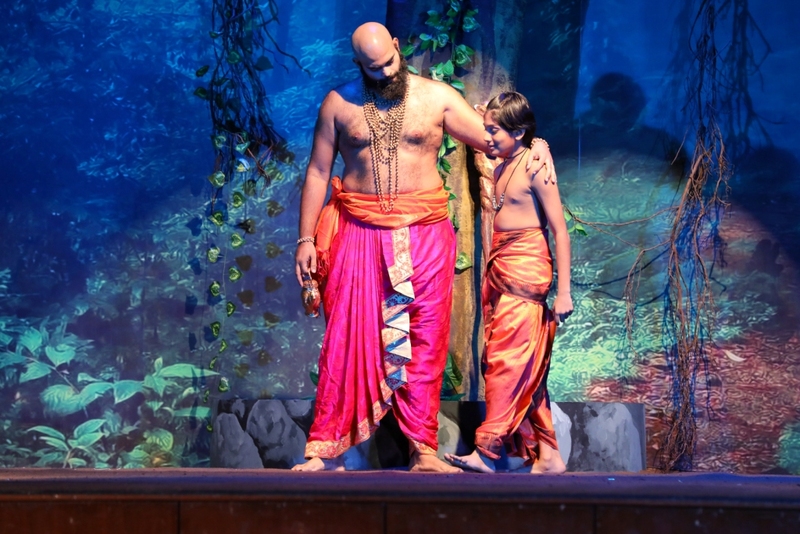 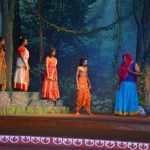 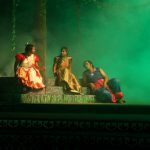 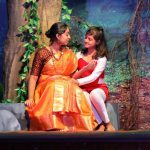 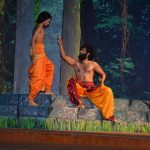 The plays are based on our Indian epics and portray principal characters and events like ‘Karna’,’Vaali’,’Raavana’, Bheeshma’, ‘Kurushethra’, ‘Raghuvamsam’, ‘Krishna’, ‘Sundarakandam’, ‘Hanuman’, ‘Shiva’, ‘Gatothkachan’ and ‘Hiranya Brothers’. 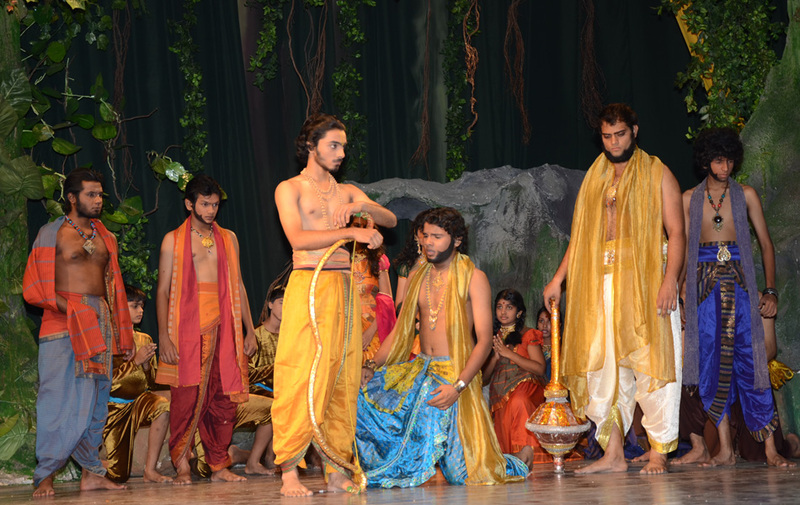 Mammoth sets, authentic costumes and realistic portrayal on stage have won laurels from the media and audience. 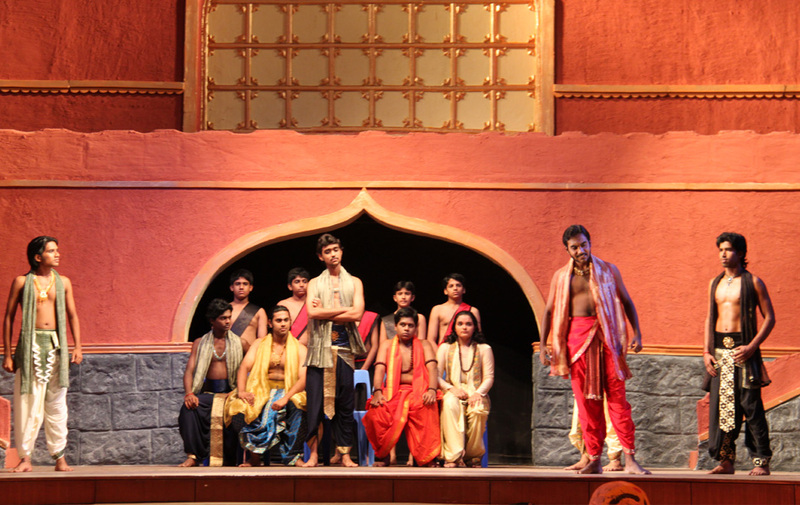 The alumni forms a pivotal part of Chettinad players. 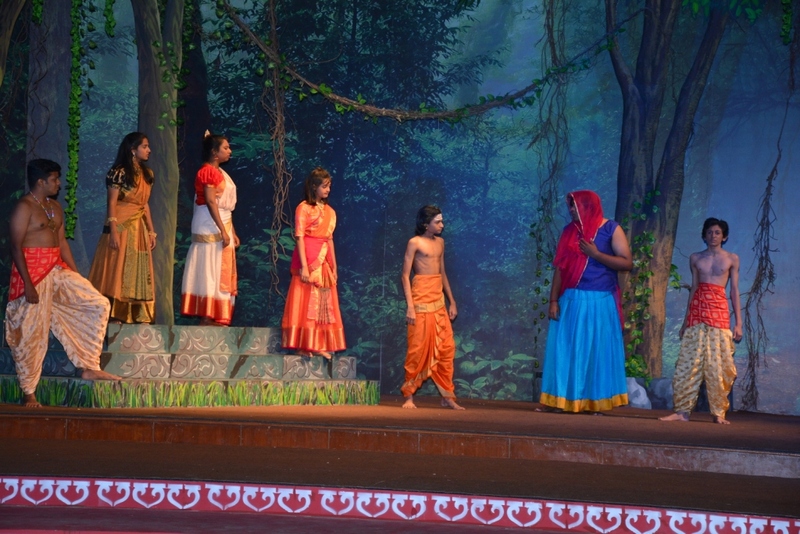 Chettinad Vidyashram presented its 13th edition of the Chettinad Players:Parasurama -The Icon of Righteous Rage from 22nd to 25th of November.The Chettinad Players had put up the show evoking the blessings of Almighty in the auspicious presence of The Correspondent Dr(Mrs.) Meena Muthiah and the principal Dr(Mrs.)Amudha Lakshmi.The play involved the mythical experiences of the divine lord Parasurama, the sixth incarnation of Lord Vishnu who puts on a ferocious character after the murder of his mother Renuka and his father Jamadagni.The play was directed by the renowned director Mr Jayakumar.The crew consisted of the art sovereign Thota Tharani and Thota Rohini who were responsible for the 3-D set design.The principal Mrs Amudha Lakshmi was the creative head and the costume designer,Mr. 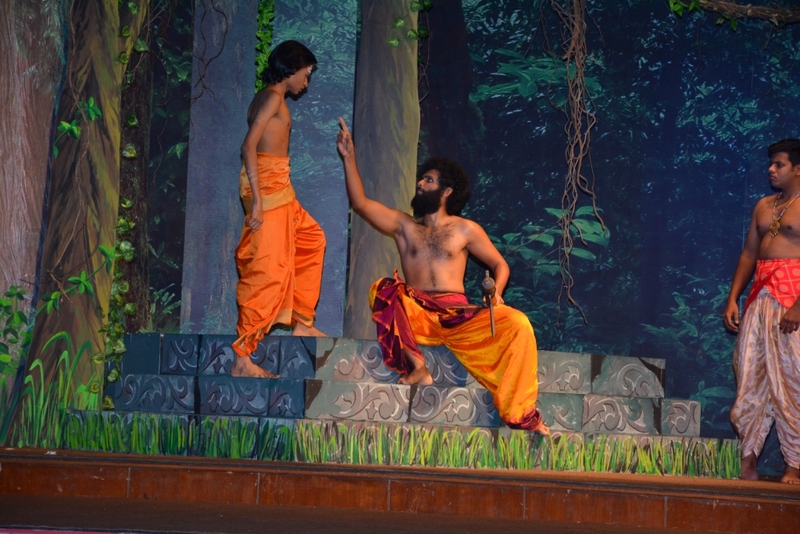 Kumaravel and Mrs.Deepika Kumaravel wielded their pen to pen down the script.Mr.Paul Jacob the acoustic expert accounted for the perfect sound Mr.Lawrence createdscintillating light effectsMr Asif and Mr Suraj had conceived the stunts Makeover expert Mr Babu and Graphic designer Mr Nikhil Shankar had a mammothic role to play.The play was an outstanding success and the faculty had managed to impress the audience.